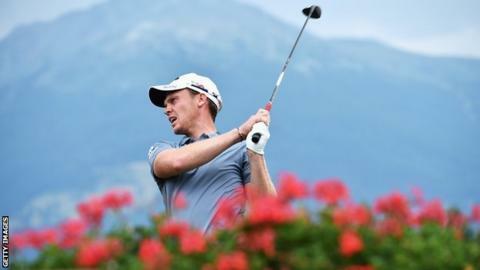 England's Danny Willett has maintained his fine Open Championship form, shooting an eight-under-par 62 to take a one-shot lead after two rounds of the European Masters in Switzerland. Sheffield-born Willett, 27, finished in sixth place last week at St Andrews. He continued to strike the ball beautifully for a 13-under total at the picturesque course of Crans-sur-Sierre. Willett leads Koreans Y E Yang and Seukhyun Baek, who are on -12 at the halfway stage. Meanwhile, Sweden's Marcus Kinhult has sustained the recent amateur success on professional leaderboards, scoring 65 and 66 over the first two days to lie in fourth on nine under.